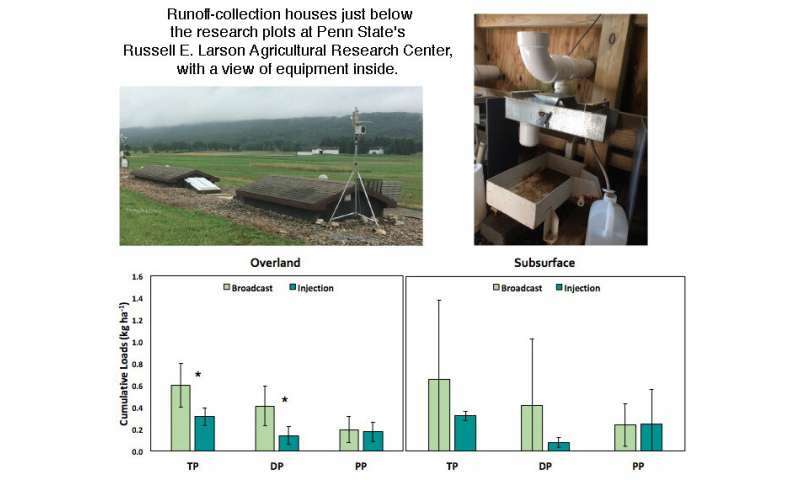 In a four-year study, overland and subsurface flows from 12 hydrologically isolated research plots at Penn State's Russell E. Larson Agricultural Research Center were measured and sampled for all phosphorus constituents and total solids during and after precipitation events. During that period, from January 2013 to May 2017, the plots were planted with summer crops of corn and winter cover crops of cereal rye. 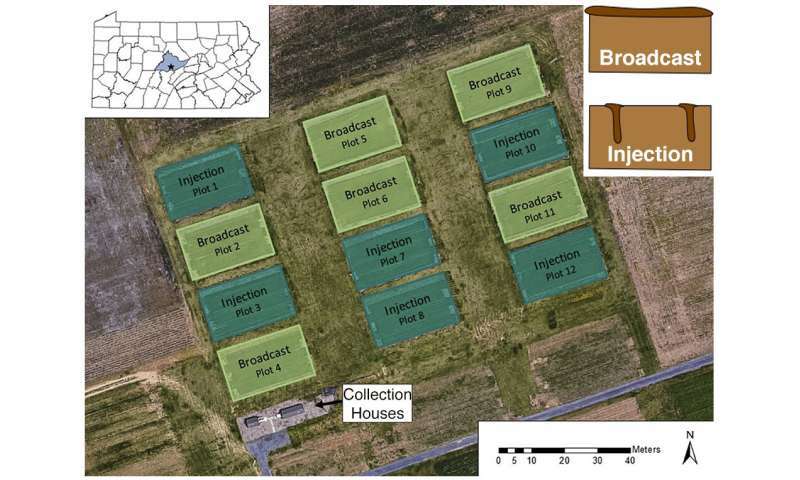 Half the plots received broadcast manure applications, while the others had manure injected into the soil. 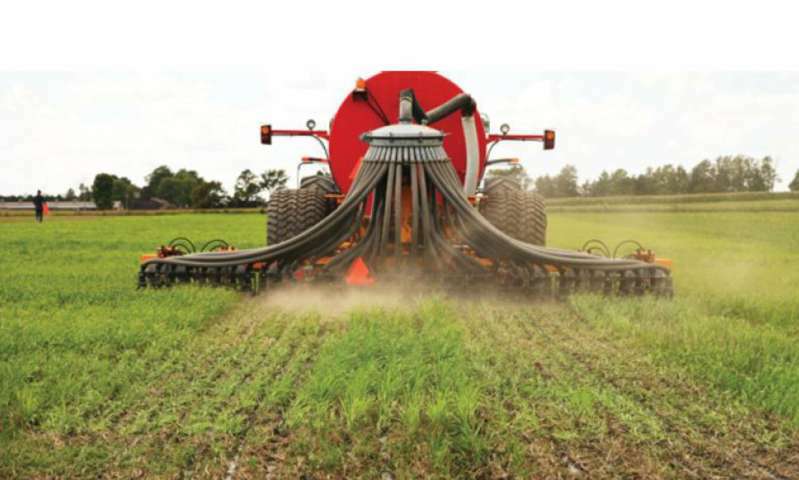 Importantly for no-till advocates, no difference was detected between application methods for total solids in the runoff—meaning manure injection, with its slight disturbance of the soil surface, did not cause sedimentation. No-till practitioners, who constitute slightly more than half of the dairy farmers in Pennsylvania, have been slow to adopt manure injection due to concerns about the practice causing sedimentation and muddying streams.